AutoGuide.com posted this great article on the DriftStream. Check it out. We first logged onto the Driftstream website during qualifying on Friday and were pleasantly surprised on how smooth and surprisingly lag free the video was. It was as close to real-time as we could get without driving the 40 miles to Long Beach, California. The video commentary was nicely done, and the production gets two thumbs up from us by keeping the viewer up to date with standings, points and results. 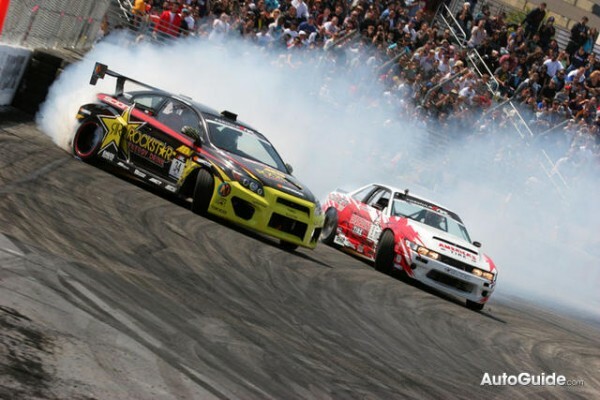 For those that are unable to attend the Formula Drift 2010 events out of their range, Driftstream is a fantastic way to catch it all. Adding to the experience, there are thousands of other fans chatting it up on the site at the same time. We’ll admit that there’s absolutely no substitute to inhaling tire smoke and seeing the cars up close and personal, but this is by far the best second option we’ve been able to get our hands on and best of all – it’s free! We hope other forms of sanctioning bodies take notes on what Formula Drift done. If you missed Formula Drift’s season opener at Long Beach, California, head on over to the Live Stream channel now to watch a recap of the entire event. Don’t forget to stay tuned for the next event at Road Atlanta on May 7-8th, 2010. And again, all events will be streamed live so follow Formula DRIFT’s schedule and catch all the action this season, no matter where you are.